Geshe Lobsang Samten and Geshe Tsultrin Tharchen established the Jamyang School in Leh, Ladakh, in 2008. 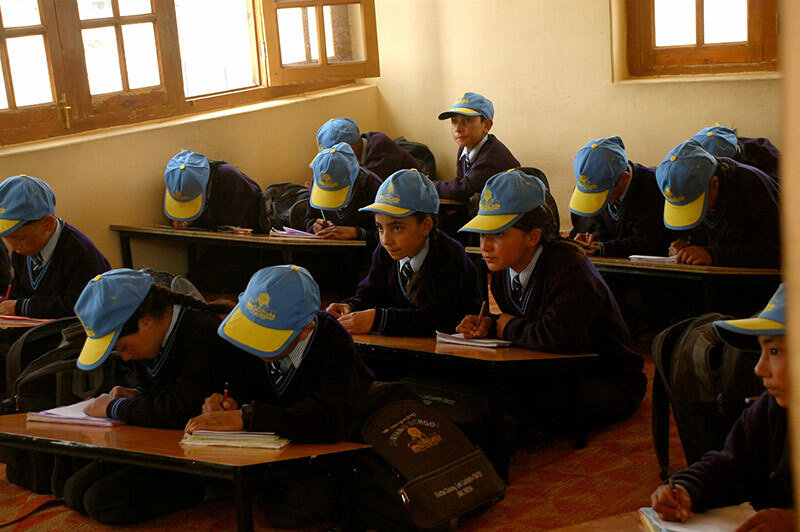 The school is located in central Leh with far horizons comprising of pristine snow capped mountains that seem to hover under a deep blue sky. Both the Geshe-la’s studied in Drepung Gomang Monastery from 1979 till 2003. His Holiness the 14th Dalai lama asked them to start a school in Ladakh to help Himalayan students from far flung areas as both the Geshe-las are also Himalayan. After the completion of their studies, they started a centre called the Sree Nalanda Dharma Centre in Leh, recognized under the Jammu and Kashmir Government. This is a religious association where the Geshe-la’s gave religious talks and accumulated over 200 disciples. They gave talks only on Sundays, leaving them 6 free days in the week. Given their free time, they took the advice of His Holiness and began the planning involved in opening a new school. Stepping back in time for a moment, it must be mentioned that in 1980, during a visit to Ladakh, His Holiness donated some funds to the Ladakh Buddhist Association. With this money, the LBA bought a piece of land that could be used in the future. 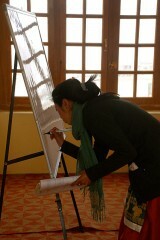 In 2008, the Geshe- la’s approached the LBA for assistance in looking to buy land for the purpose of setting up a school. The LBA offered the previously mentioned piece of land to them and they commenced the construction of the Jamyang School and hostel. His Holiness had asked the Geshe-la’s to take on the responsibility of running this school, assuring them that he would take responsibility of the financial requirements. 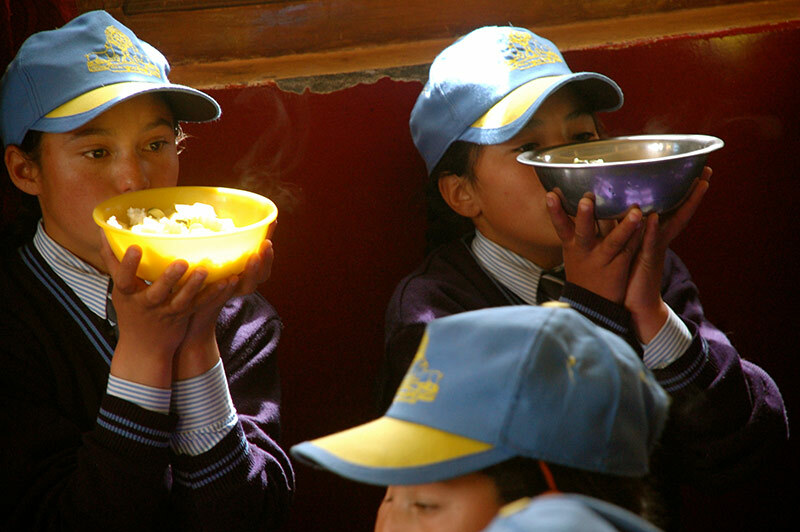 For the initial two years, the Dalai Lama Trust funded the entire costs incurred, after which, they continued to fund half of the annual costs, and the Geshe-la’s found other donors for the other half of the expenses. The Jamyang School began functioning in 2008 out of the hostel building, as the school building was not ready yet. On the 17th of September 2008 His Eminence the 17th Karmapa inaugurated the hostel building. On the 14th of August 2009, His Holiness inaugurated the school building. The expenses covered by the Dalai Lama Trust include the construction of the hostel, school building, administrative block and general school grounds. It also covered the infrastructure, administration, teachers salaries, kitchen, staff salaries, and all daily expenses. 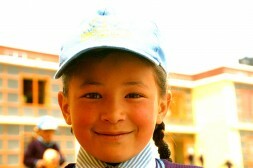 The Dalai Lama Trust continues to fund half of the annual expenses of the school. 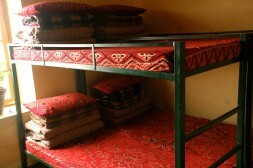 The school is host to 231 students of which 189 stay in the hostel and 42 are day scholars. 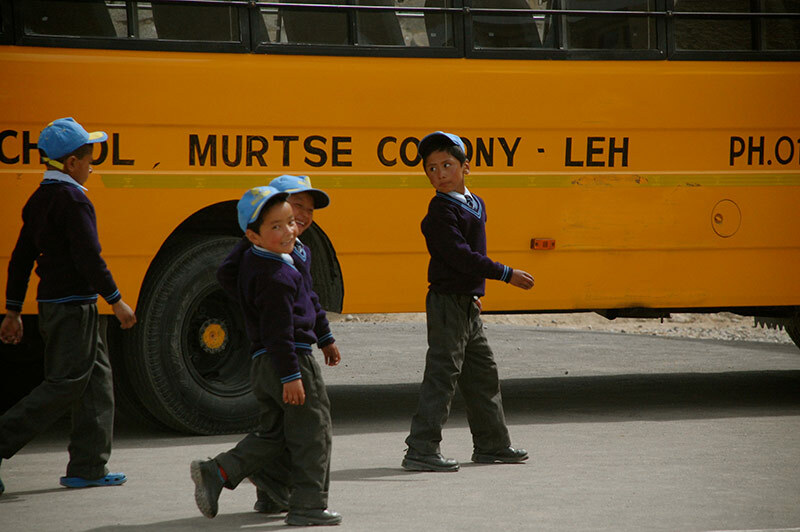 173 students are from remote and far-flung areas of Ladakh like Hanu, Da Pema, etc. The selection committee of the school personally visits the villages and chooses the students who are most in need. Children who are orphaned or semi-orphaned are given priority, as well as those in dire financial need. The school is currently a primary school going up to class 6, with the addition of a new and higher class every year. Next year the school will enter Middle School territory with the addition of class 7. This way the students need not worry about transferring to other schools for the foreseeable future and may remain in the comfort of their home away from home. The Jammu and Kashmir State Board outlines the subjects taught in the school, which include- English, Hindi, Bodhi Language, Social Studies, Science and Mathematics. There are also co-curricular activities like sports, song and dance and elocution. In addition to this, an important part of the children’s education lies in preserving their culture, spiritual values and traditions. Following the views of His Holiness on what it means to be a 21st century Buddhist, the school also stresses the importance of studying science and religion hand in hand. ‘The science of mind’ as Geshe-la refers to it- meaning the study of the mind as it is understood in Buddhism, is an important addition to the education imparted here. The staff comprises of a total of 26 – including the teachers, cooks, wardens, cleaners and drivers. This figure does not include the Director and Principle of the school, the Geshe-la’s. The Geshe-la’s do not receive a salary like the rest of the staff. The expenses for winter holidays are taken care of by their disciples and the school covers expenses in the case of someone falling ill. The selfless work being done by the Geshe-la’s speaks volumes and is a commendable testament to their dedication to Jamyang School.